Odborná a seriozní příručka v angličtině. Kompletní technická a servisní dokumentace s obrázky včetně elektroinstalace. Jednoduchá schémata zapojení. Znázorněna je každá funkce, model od modelu pro odstranění problémů. Nejlepší manuály v této nabídce. 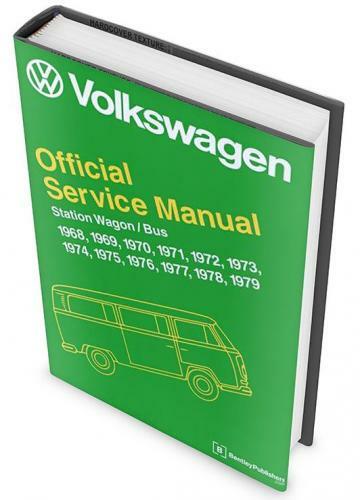 Volkswagen official Service / Workshop manual (English). Technical books there are coastal and label and if you are then looking for the best of the best is not it, that every book claims to be the best. If you would ask yourself who now Our Volkswagen the best could describe either who can now say with 100% certainty how everything fits together than this writer would write the best technical book. Now we are where we have rejected, there is only one that literally everything with 100 % tells us and that is Volkswagen itself. Like any automaker Volkswagen brings extensive documentation on the market, which are intended for the Volkswagen mechanics, unfortunately you can not get this information in the normal way and most VW dealers will this books not just give. In America, Volkswagen decided to make these books . available to the general publief These are the official service manuals and Workshop as then issued to the VW dealer network and describe literally every detail but you might have a question about. Caution : the books are what the Volkswagen technical works and how things need to disassemble, adjust, edit, etc., it is no restoration books. All books are very comprehensive and provide a large number of graphics and pictures to support the (English) lyrics by this combination are the books simple and very good understand.